Beautiful fall foliage, cozy sweaters, turkey dinners, and holiday music. ‘Tis the season for festivities, but it’s also the season for runny, red noses and coughs that keep you up at night! According to statistics, the average adult gets 2-4 colds each year. But, you aren’t doomed to spend your holidays feeling under the weather! There are some things you can do to boost your immune system and have a healthy holiday season. It is no secret that getting adequate amounts of quality sleep is important. A 2009 study found that people who get less than 7 hours of sleep each night are almost three times as likely to catch a cold. If your sleep is interrupted because you wake up during the night or if you have trouble falling asleep, you are more than five times as likely to find yourself in the throes of a cold. Most experts recommend 6-8 hours of sleep per night. So, take advantage of the shorter days and head to bed when you feel tired. Chill out. Stay healthy. Lose weight. Meditation has long been touted as a way to manage stress. According to a recent study, a regular meditation practice can also boost your immune system and help you fight off that cold you were probably exposed to while completing your holiday shopping! To reap the benefits, you have to meditate on a regular basis. 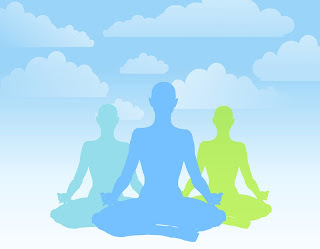 Try starting with just 2-5 minutes per session; you will still benefit from just a few minutes of mindful meditation. It might seem as though cholesterol and your body’s ability to ward off a cold is completely unrelated. However, in a study published earlier this year, researchers found that hormones released when your body’s immune system is stimulated decrease cholesterol levels. Viruses and some bacteria need cholesterol in order to grow. So, it makes sense if we lower the cholesterol in our body, the viruses may not be able to survive. Exercise and immune function is definitely a situation where more is NOT better! A NY Times article explores the relationship between exercise and immune function, especially as it relates to intensity of exercise. As the article explains, several studies have found that workouts of long duration or high intensity have a negative effect on immunity, as well as weight loss. However, leisurely workouts of short duration and low intensity boost your immune system, so you are more likely to fight off the sniffles. Aim for 20-30 minutes of activity, like a moderate walk, to boost your immune system. Burning off some holiday treats helps weight loss too.